A Moovelous Tradition Passed On | Winners Drink Milk! 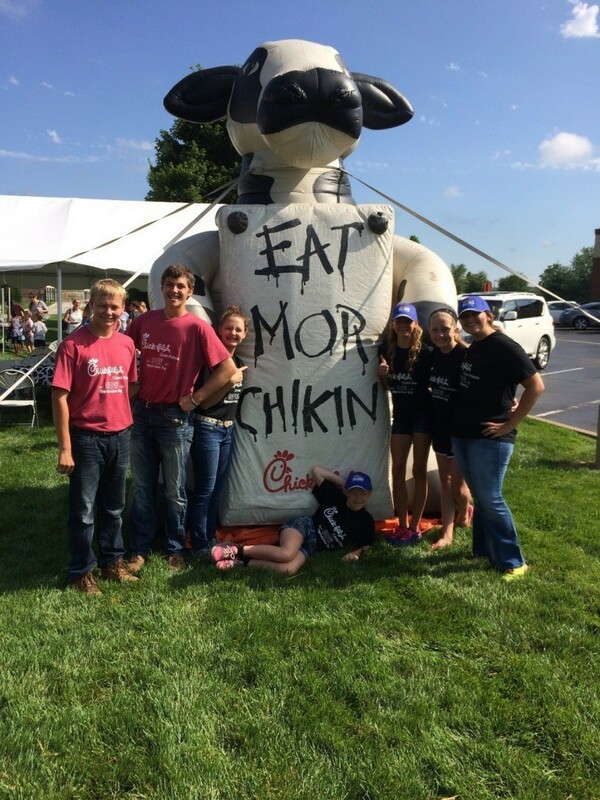 One of my favorite family traditions I have had growing up has been taking cattle to Chick-Fil-A’s Cow Appreciation Day, with my siblings and cousins. At the Cow Appreciation Day Celebration, I enjoy having casual conversations with visitors to explain just how much farmers respect and care for their animals. After the event ends, it has been a tradition to go inside the Chick-Fil-A with my family and drink big milkshakes. 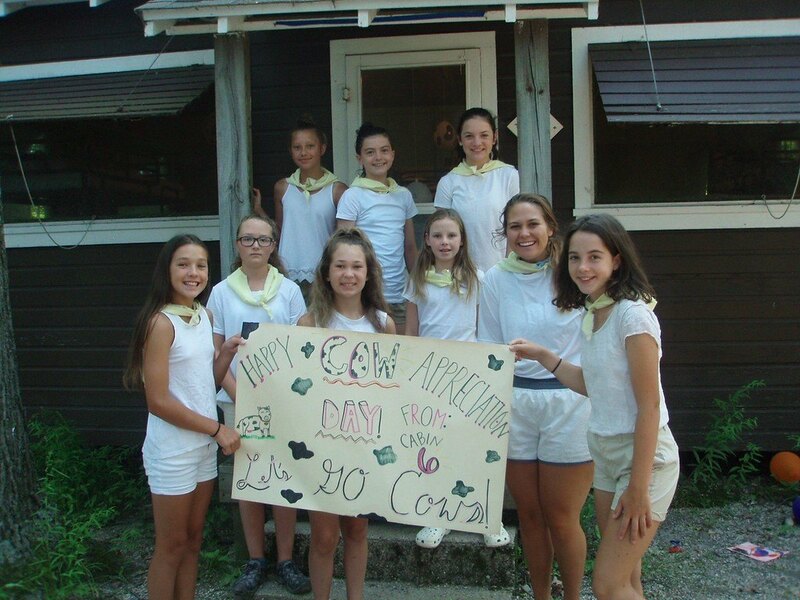 This year however, I could not contribute in the sentimental tradition as I was a residential counselor at a summer camp in Newaygo, Michigan. 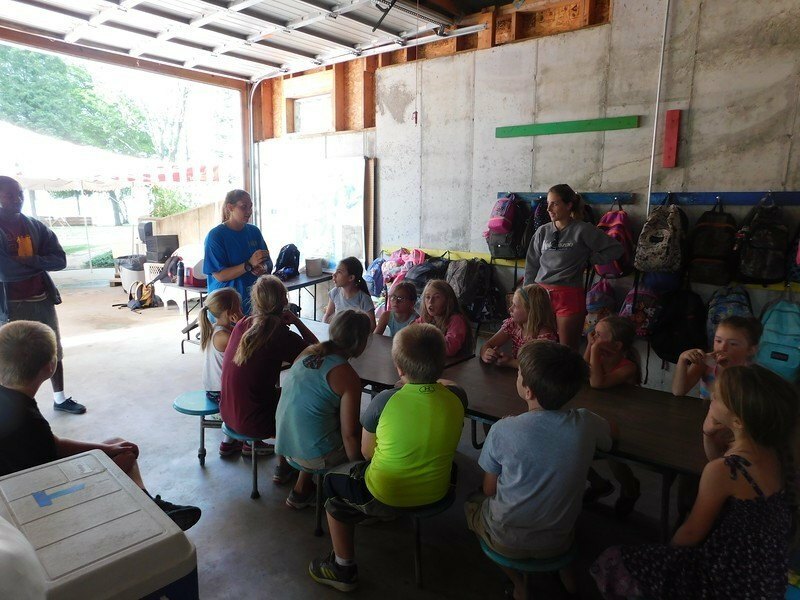 Although I was not able to bring dairy cows to the campers, I was still able to enjoy plenty of ice cream while also educating campers about dairy farmers and their animals. My cabin started National Cow Appreciation Day 2018 by decorating all cabins with posters and decorations. I then spoke with 42 of the younger campers for a morning session about milk nutrition and the importance of cow care. 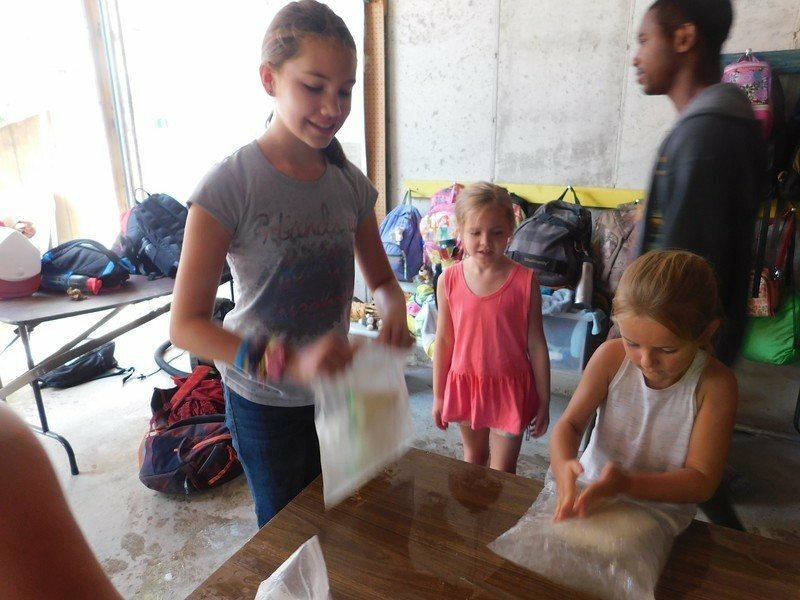 During this session we also were able to make homemade ice cream for our fellow campers. Making homemade ice cream is a lot of fun. We began by taking 15-gallon bags and filling them with rock salt and ice. Then we took 15 closed sandwich bags filled with heavy whipping cream, vanilla, and sugar and put them inside gallon bags of ice and rock salt. The kids shook them for 20 minutes and really enjoyed it! Even though I was not home to participate in a beloved tradition, I had the honor of educating and eating ice cream with great kids who had an interest in learning more about the dairy industry and I would definitely consider it a successful event!